Facial Cosmetic Surgery and Orthognathic Surgery Hyderabad: Stop Worrying About Your Hair Loss!!! Stop Worrying About Your Hair Loss!!! Hair restoration, An extreme cosmetic surgery procedure that can help you to overcome your hair loss problems. Hair loss is mainly divided into two. Hair Restoration is a method of replacing hair from one part of the body to another place of our own body. That is, we can replace our hair from hairy areas like chest, back of the body and other hairy parts to our head. This hairs can grow as like our natural head hairs. The surgery needs a less time to recover hair loss by restoring hair to head. Our clinics ReconFace and Ojas Aesthetic are known as the best hair restoration center in India with best affordability. 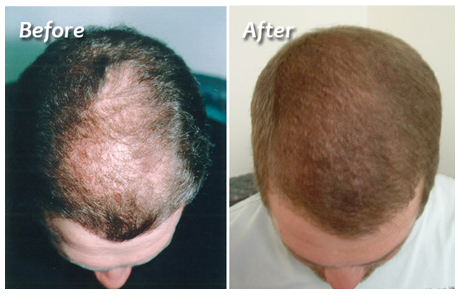 We can provide best treatment for hair restoration surgery. The hospital is very well equipped with most modern equipments and surgeries are managed by professionals in this circle. We also provide hair restoration for patients, who lost their hairs due to burn. How To Stay Young Forever !! !